Paul's letters to Timothy and Titus are collectively known as the pastoral letters as in them Paul writes to those with pastoral oversight. The letters contain teaching highly relevant to the Christian ministry. Paul's authorship has been questioned by some, even though this view has been strongly held from the earliest times and despite the testimony of the letters themselves. Reasons advanced for a later author can be readily answered. The fact Gnostic teachers rejected it is hardly reason for us to do so. Supposed discrepancies in the historical references in the letters and suggestions that they do not fit in with Acts disappear if we accept that Paul was imprisoned, then released, travelled and was then imprisoned a second time. 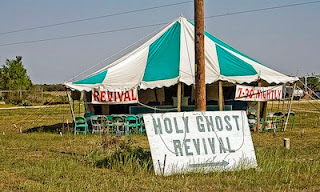 It has also been suggested that the organisation of the local churches evident in the Pastorals is too advanced for any period in Paul’s life. However, an examination of Acts shows this not to be so. Acts 6 may be the inauguration of the role of deacons; elders were established in Acts 14:23 even before Paul had completed his first missionary journey. The false teaching Paul counters is regarded by some as being from the Second Century, when Gnosticism was more fully developed. However, some matters Paul raises evidence a strong Judaistic flavour, for instance - genealogies and the Law (1 Timothy 1) circumcision and Jewish myths (Titus 1). This fits with the difficulties the churches were experiencing in Paul’s lifetime. It has been asserted that the style is unlike Paul's. There are differences in style and content in the Pastorals compared with Paul’s earlier letters, but none that cannot be accounted for by age and experience. There are similar differences between the letters Paul wrote while he was free and travelling and those written when in prison. Such changes over the years should not surprise us. The fact the letters bear his name should be enough! Timothy was born in Lystra to a Greek father and a Jewish mother. He was raised in the Jewish faith and knew the Scriptures from childhood (2 Timothy 3:15). His mother Eunice and grandmother Lois were believers and Timothy was probably converted during Paul’s visit on his first missionary journey. When Paul returned on his second journey, he took Timothy with him. To avoid offending Jews in the region who knew his father was Greek, Paul had Timothy circumcised. He then shared in the evangelisation of Macedonia and Achaia and was with Paul for three years in Ephesus. He also accompanied him to Jerusalem and was with Paul when he was under house arrest in Rome. His name appears with Paul’s at the head of the letters to the Colossians and Philemon. When Paul was released, he eventually travelled to Ephesus, then left Timothy there to sort out the difficulties that had arisen. When Paul was imprisoned again he urged Timothy to join him, which he probably did. Hebrews 13:23 refers to Timothy having been released, so it would seem he too suffered imprisonment for a while. When we look at the letters for signs of Timothy’s personality, we see that he was not particularly forceful, though Paul considers him trustworthy. He is told not to let anyone despise his youth (1 Timothy 4:12) and so he was under the age of 40. He was also timid and perhaps overwhelmed by his responsibilities. Paul urges him to stir up the gift within and tells him God has not given us a spirit of timidity. The aged apostle refers to the young man’s tears (2 Timothy 1:6-14). The instruction to take a little wine for his stomach’s sake suggests he had physical afflictions, perhaps the result of his nervous and shy disposition. There is a tradition that Timothy was martyred during the reign of Emperor Domitian or Nerva, sometime in the last two decades of the First Century. The situation of the Ephesian church, as presented to its pastor, is one where professing believers of Jewish background were actively promoting wrong teaching, giving attention to myths and endless genealogies. These were important to the Jews, for instance in proving ancestry for the priesthood. They wanted to be teachers of the Law, Paul says, though they did not understand the Law's purpose. It seems that while Paul was under arrest in Rome there were developments in the Ephesian church that he would not have allowed had he been there. He delegates to Timothy responsibility for correcting bad practice and doctrinal deviation. There may have been moral lapses on the part of some. Hymenaeus and Alexander (1:20) seem to have been guilty of such things and were put under discipline. The church's structure and organisation seems to have developed. The office of elder and of deacon are fixed and perhaps a certain amount of prestige had become attached to these roles. Therefore Paul has to emphasise the qualifications required of those aspiring to such positions. The term elder (Greek presbuteros) is used interchangeably with bishop, overseer (Greek episkope) as can be seen from Titus 1:5, 7. Elder refers to the maturity and understanding needed; overseer is more about the work done. We also see in 1 Timothy that the church kept a list of widows in need of financial support. Paul lays down criteria for recognising who is eligible for the list. The theme of the letter is 'Advice to a young preacher'. This is a personal letter and at times it is as if Paul is talking to Timothy. Some verses seem to have no context, as in 5:23 where Paul tells Timothy not to drink only water. It is the kind of sentence that would occur to someone while talking and be interjected into the flow of conversation. Paul reminds Timothy of his commission - to fulfil the work of the ministry, especially in relation to the situation at Ephesus. He mentions Timothy’s responsibility seven times (1:18; 4:6,12,16; 5:21; 6:11, 20). 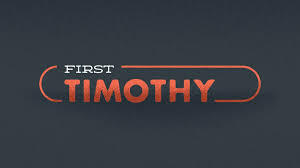 Timothy was in danger of giving up and needed to be brought back to the duties laid on him by Paul and the Lord. To do this he needs both to pay attention to himself and his own walk with God and to keep in mind the desired conduct and organisation of the church. Gideon and his fleece – a model for guidance?